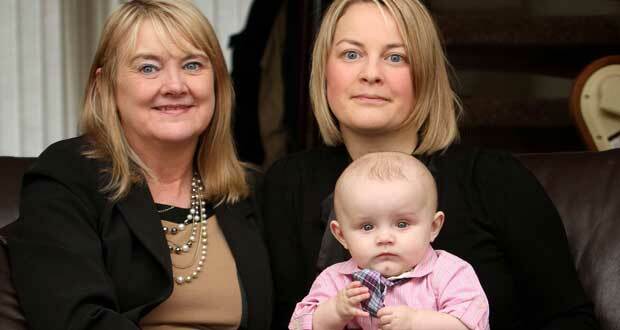 PAMELA Butler may be the UK’s oldest surrogate mum but she’s not the first to help out a daughter. Cases of daughters asking their mums to become surrogates are rare, but in 2001 Vivien Morris, 54, gave birth to her own grand-daughter. Her daughter Laura Westrop, 29, was unable to carry a baby after treatment for cervical cancer. So Vivien, a playgroup worker from London, volunteered to help Laura and her husband Mark. In 2005, 53-year-old Annie Casserley gave birth for her daughter Emma Hattersley, who was diagnosed with an extremely rare form of cancer when she was 19, and son-in-law Andrew. Liz Buttle, from near Lampeter in West Wales, became the UK’s oldest mum at 60 when she gave birth to a son called Joseph in 1997. She now lives in Ireland. Elizabeth Adeney of Lidgate, Suffolk, is Britain’s oldest mum after giving birth to a boy in May 2009, aged 66.